I’m delighted to showcase this engaging new book! Get ready for another gripping read from USA Today bestselling author of THE SILENT WOMAN! 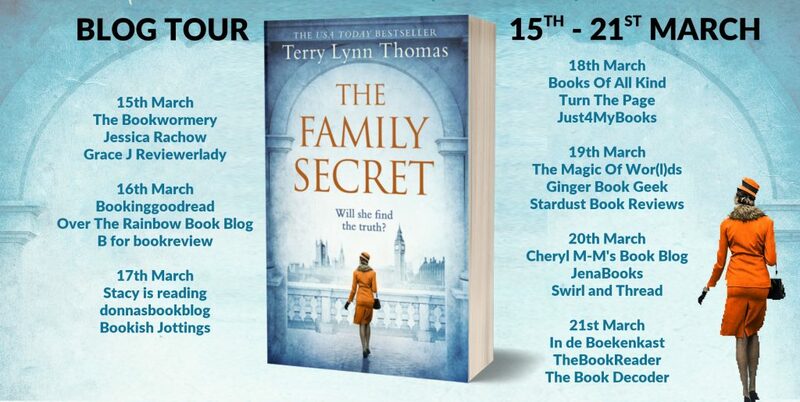 The Family Secret is made to be a winter-time read. With a solid bit of history, many varied and intriguing characters, and a brooding writing style that accentuates the environment of mystery, this book is one that will see you through a cold evening at home. This is not a beach read, or light romance. I enjoyed this book because every page brought something surprising or puzzling. Once you start, you won’t want to put this book down-it is that well-written. The story begins with us getting to know, or if you have read the first book in the the Cat Carlisle series, getting reacquainted with Cat, her friend Thomas Charles, and Thomas’s boss, Sir Reginald. London is holding its breath, waiting for a German attack that will surely come now that the Second World War has started. Thomas convinces Cat to move back to Rivenby, a village in Cumberland that will be safer for Cat and her ward, young Annie. Cat and Thomas are in the beginnings of a relationship, so she agrees to move back to the village where she grew up, to a village where everybody knows everything about everyone. And this is how Cat finds herself in the midst of solving one murder, and then, two violent deaths. The villagers are great people to read about, and each one has a secret and enough problems to warrant suspicion. Phillip, is a scoundrel and too handsome for his own good. Friends Edythe and Carmona were two of my favorite characters, and each one does her best to get to the bottom of the problems in the village and each grows up as they deal with the past and the present. And what is going on with the Broadbent family? Many townsfolk think they know the answers. You will be rewarded with a satisfying conclusion when you see how history and family secrets collide. Although Cat and Thomas are introduced in the first book in the series, and it is probably interesting to have learned more about them, I had no trouble reading the second book as a stand-alone. Highly recommend. Thanks to NetGalley, the publisher and Rachel’s Random Resource for a review copy. This is my honest review. Terry Lynn Thomas grew up in the San Francisco Bay Area, which explains her love of foggy beaches and Gothic mysteries. When her husband promised to buy Terry a horse and the time to write if she moved to Mississippi with him, she jumped at the chance. Although she had written several novels and screenplays prior to 2006, after she relocated to the South she set out to write in earnest and has never looked back. Terry Lynn writes the Sarah Bennett Mysteries, set on the California coast during the 1940s, which feature a misunderstood medium in love with a spy. The Drowned Woman is a recipient of the IndieBRAG Medallion. She also writes the Cat Carlisle Mysteries, set in Britain during World War II. The first book in this series, The Silent Woman, came out in April 2018 and has since become a USA TODAY bestseller. 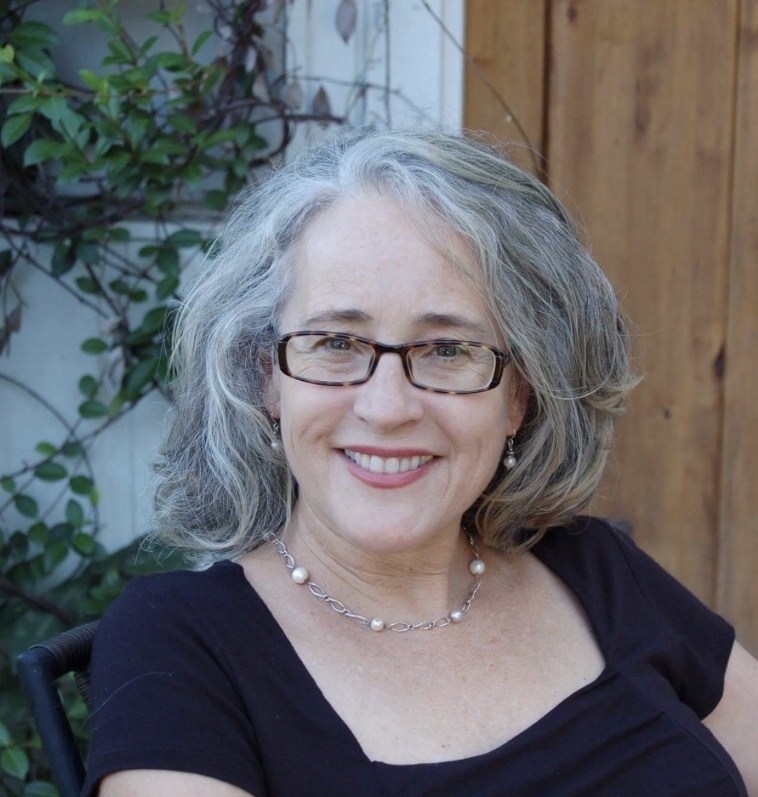 When she’s not writing, you can find Terry Lynn riding her horse, walking in the woods with her dogs, or visiting old cemeteries in search of story ideas. Oh this looks like a great, exciting book to add to my reading list. Thanks Jena! My pleasure! Very well written and great characters! Thanks!